Perfect for sci-fi teasers and trailers, small-scale films, broadcast design. 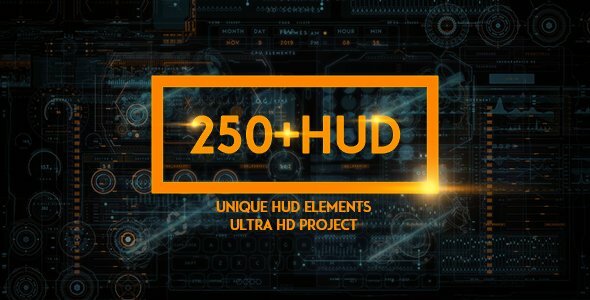 This packaged collection of UI elements makes it quick and easy for you to take control of your own After Effects UI screen design, and the exceptional level of detail gives you a realistic and professional quality finish.Modern , professional and new style in HUD and infographics elements. Useful elements for making Technology and mysterious intros, previewing games, Tracking and match moving videos and etc. You can combine them (like intro part) to make awesome videos.